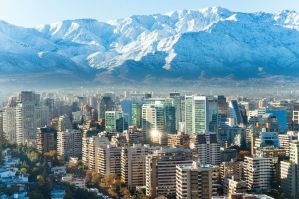 Santiago is the capital and economic center for the country of Chile. It has a lot to offer visitors in the form of museums, festivals, theaters, restaurants, and entertainment. It's also at the political and cultural heart of the country so you can be assured there will be a lot of activity when you're in town. Also nearby are both the beach and the mountains. 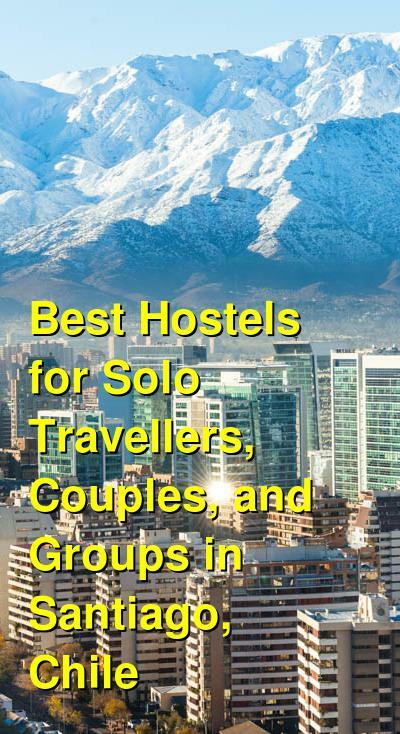 Santiago has a decent number of affordable hostels. Many are located in charming neighborhoods or near some of the city's most active night life. Hostels usually have social atmospheres and the staff are usually helpful with organizing and number of day trips or excursions. Whether you're traveling alone, as a couple, or as part of the group, a hostel can offer a fun and affordable place to stay. How much do hostels in Santiago cost? H Rado Hostel is located in the middle of Santiago's most lively streets. It's in the area of Barrio Bellavista and is just a short walk from some of the city's best restaurants, activities, and nightclubs. Public transportation is also not far away and the Baquendo Metro Station is just 200 meters from the hostel. The hostel also has a variety of common areas including a shared kitchen, a living room, and several nice terraces. The rooftop also offers a nice view of the surrounding area. There is plenty of space where you can relax and hang out with other guests. The hostel has a charming boutique feel and it has a nice design and comfortable setting. It's located in a four story building and there are both private rooms and dorms available. Twin, double, and three bed private rooms are available as are four and six bed dorms. Female only and co-ed rooms are both available. A good hostel for solo travellers, female travellers, small groups, and couples. Ventana Sur Hostal is located in an old town house just a few blocks from Metro St. Isabel. It is next to Bustamante Park in Providencia and you can walk to many of the area's best tourist attractions. Nearby sights include Bellavista, St. Cristobal, and St. Lucia. This is a very safe area with many restaurants and bars nearby. The hostel offers a peaceful setting where it's easy to meet other guests and there's a patio and pool where many guests enjoy hanging out. They also host Asados, or barbecues, every Friday night, which is the perfect time to meet fellow travelers. The staff can also help you organize any day trips you might want to take. They can recommend all kinds of places, from the more popular destinations to places that are more off the beaten path. The hostel has private rooms including singles and doubles. Dorms sleep six or eight people. Che Lagarto Hostel Santiago is in a central location near the cultural district of the city. It's a few minutes from Cerro Santa Lucia and is close to public transportation, restaurants, and nightlife. The hostel offers suites that include a full private bathroom, a flatscreen television, and heating. Breakfast is included in the price of the room and there is wi-fi throughout the hostel. If you want to do any day trips or excursions, the hostel staff can help you with any arrangements. They can also recommend nearby restaurants or clubs that you might enjoy. The hostel has several common areas including a terrace with a grill and tables. There's also a television room, a kitchen, and a "playroom" with a pool table and a ping pong table. This is a fun place to stay if you want to meet other guests and enjoy a friendly environment. Double private rooms are available and dorm rooms all sleep up to eight people. Female only and co-ed rooms are both available. Hostal Forestal is another affordable hostel in Santiago. It's a popular place to stay for backpackers and budget conscience travelers who want to be in a central location. It's close to many places you might want to visit and it makes a good base for exploring the city. The hostel has a friendly setting with a diverse crowd of international travelers. The staff are friendly and helpful and the rooms are simple but comfortable. Dorms sleep six or eight people and there is a wide range of private rooms available including singles, twins, doubles, three bed, and four bed rooms. There are different level rooms with different levels of amenities.